Today we’re talking about the pros and cons of hiring remote workers or employing remote or telecommute workers. It’s important to keep in mind that all businesses are different and this may not work for everyone. Some businesses are prone to work very well with remote workers while others are not designed to have remote teams. It’s important to pay attention to this because if your business is a good candidate for remote workers, you can greatly benefit. 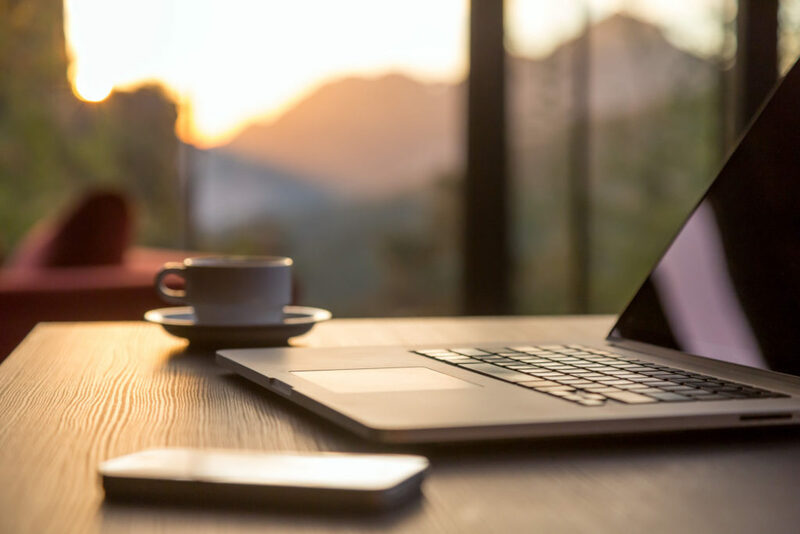 If your business is not conducive to hiring remote workers this article may not be relevant to you. If you want to consider this, you’ll need to see what changes you can make to take advantage of remote workers. There is currently a large trend for candidates that are interested in the ability to work remote or partially remote. Many people nowadays are putting much more emphasis on their work-life balance. Being able to work remote offers people the flexibility to have their work-life schedule be more balanced. Many people also work better remote then they do in an office environment. The office environment can often have many distractions with other coworkers or other things going on. This of course depends on your office culture, office environment and the type of people that you hire. Many extremely talented people who are at the top of their field are only interested in working with this flexibility. Being open to hiring remote workers opens you up to a segment of the market that you may be missing out on. If you are thinking of hiring remote workers, you have to consider how that will fit into your existing culture. If your existing culture is one where everyone is in the office and then you hire someone remote, this could cause friction. You could produce dissension in the ranks of your employees who might feel left out or jealous if the new person gets to work remote but they don’t. If you’re considering taking this on, you want to take inventory on whether your current employees can work remote. Perhaps you make working remote more like a benefit to be attained if someone reaches certain KPI’s or metrics. Many sales people are extremely effective working remote. If someone travels a lot and they’re mostly on site with clients, there really is no need to have them in office. You can benefit greatly from a rockstar sales person being somewhere else in the country. Customer service folks and account management people also function very well in a remote capacity. Believe it or not, accounting folks and financial people can also work very well remote. You might want to think about having your internal financial people working remote as well. When hiring remote you should know if they are the kind of personality that’s productive in a remote function. There are many people who if left to their own devices will not get the work done that needs to get done. If you have those kind of people working remote you will see a slump in productivity. Your people should know that their ability to work remote goes hand-in-hand with the results they are on the hook to produce. Another trick to hiring a solid remote employee is hiring someone who has been successful working remote in the past. There’s also incorporate partial telecommuting where your team is in the office 3-4 days and remote 1-2 days a week. This model can provide the best of both worlds for you and your employees. Then you can accomplish the things you need with the team together and have the balance of working remote some days. This is a very common model that’s being adopted by many companies and is being extremely successful. This model works if all of your employees are local as you’ll need them in the office together certain days of the week. If you are going to go after remote workers it may be challenging from a recruiting perspective. Recruiting firms like us are extremely solid resources for being able to tap into other markets for remote work. Remember, the challenge will be instead of just recruiting in your city you’re going to be recruiting nationwide. You may even be just recruiting in certain times zones. Your pool of people to reach out to is going to increase dramatically. You will need to have a strategy for how to tap into those markets and find the best talent. Keep in mind that it will likely take a lot of volume, so leaning on a recruiter can be a very valuable resource for tapping into that market. Look at remote and telecommute working as a way to tap into a segment of the market with more great talent. This is a segment of the market that is growing as more and more people are looking for that work-life balance. More and more people are looking for the ability to have flexibility around their work schedules. Many of these types of people can be extremely high producers and will produce better with this type of flexibility. As managers it’s important for us to focus on hiring the right personalities that can work well autonomously. This can be more productive for managers also, not having to control and micromanage everybody. You owe it to yourself to explore this a bit further and see if it’s something that can work for your business.